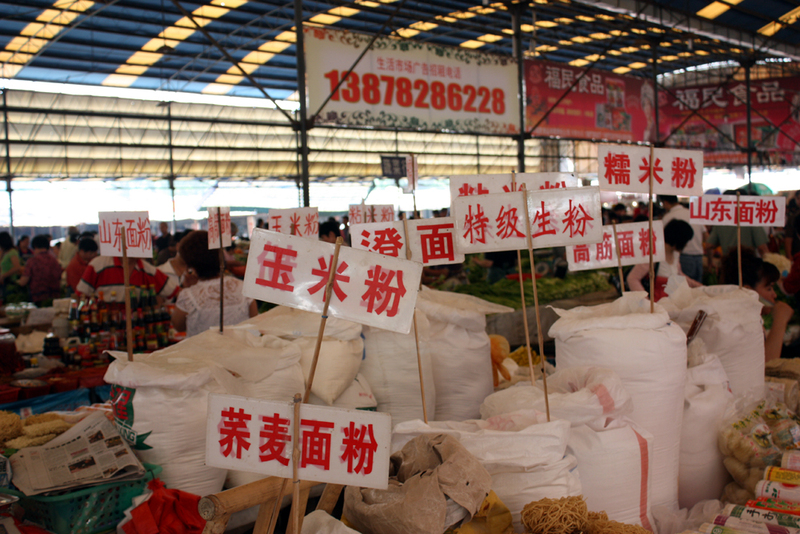 Most Liuzhou people do their daily food shopping in markets. Almost every neighbourhood has one, so I will not be recommending any particular market. Find your nearest by reversing following your neighbours carrying bags of produce. That said, I don't use my nearest, but the second nearest. That is for two reasons. Twenty years ago, I lived near the one I now use and got to know the various vendors. I've been buying my mushrooms from one woman for two decades. I remember my favourite seafood vendor when she was just a little girl helping her mother - she is now a mother herself - and she always beckons me over to her stall if she has something special or unusual. The other reason for my preference is that the nearest one just doesn't look or feel so hygienic as my preferred place. Some markets are open air, but the majority have been moved indoors in recent years. 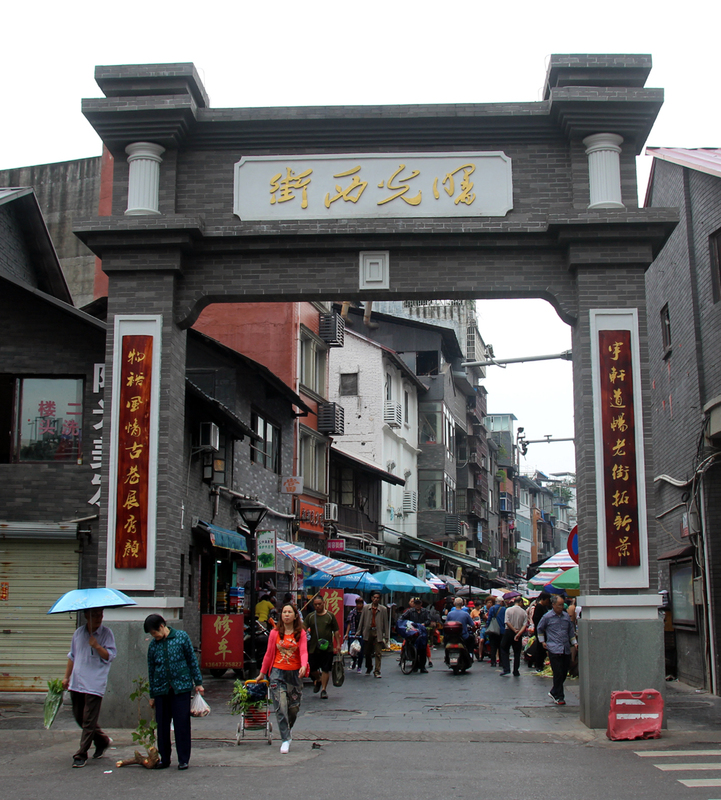 The area outside Dong Men, the old city gate was once a thriving market, but is now hidden underground beneath the nearby shops. Most markets offer pretty much the same things. More vegetables than you knew existed. Seafood and fish (but rarely sea fish). Pork in all it's incarnations. My place has one stall which only sells pigs' eyeballs! Beef, less often. Chicken and ducks and their eggs. 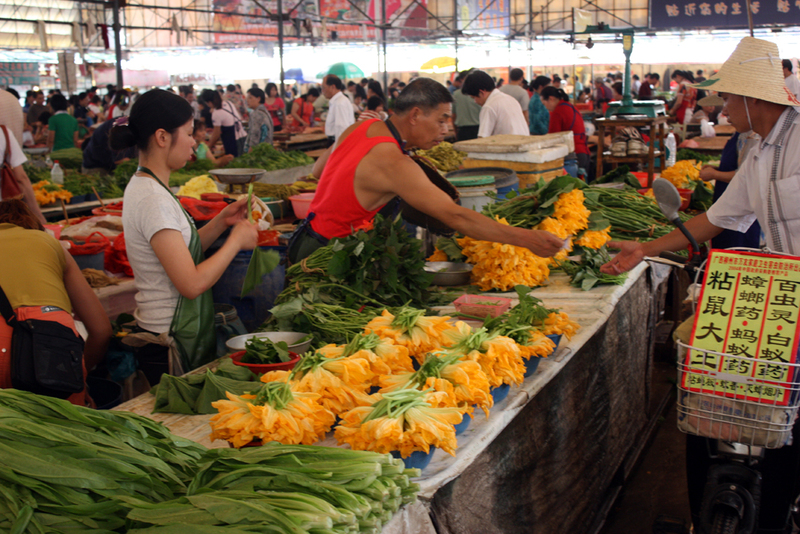 The markets are inspected regularly to ensure that the licensed stall holders are safe. The same can't be said for the many unlicensed street people outside the market gates. You will see strange things too, depending on which market you choose. 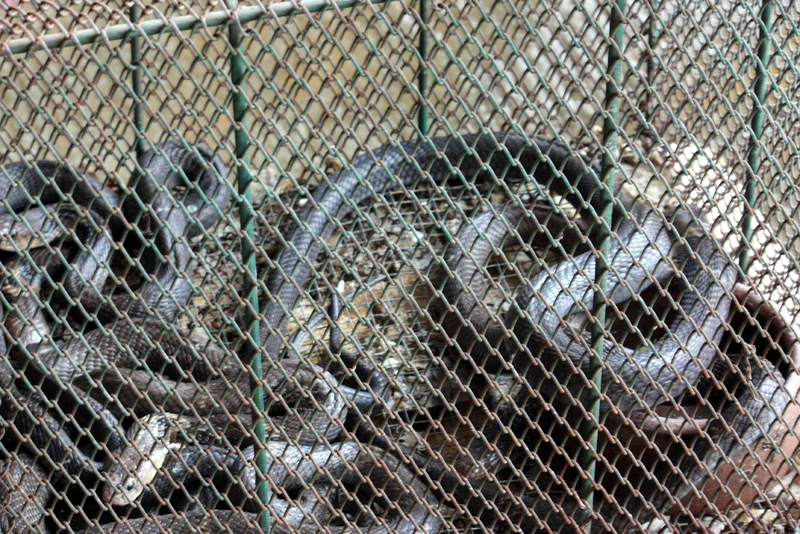 Snakes, frogs , insects, dog meat. 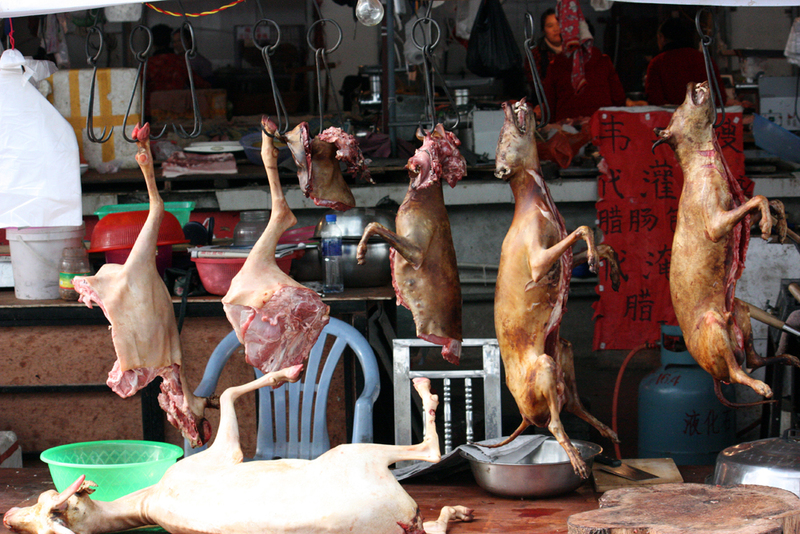 One place I know sometimes has cat meat. 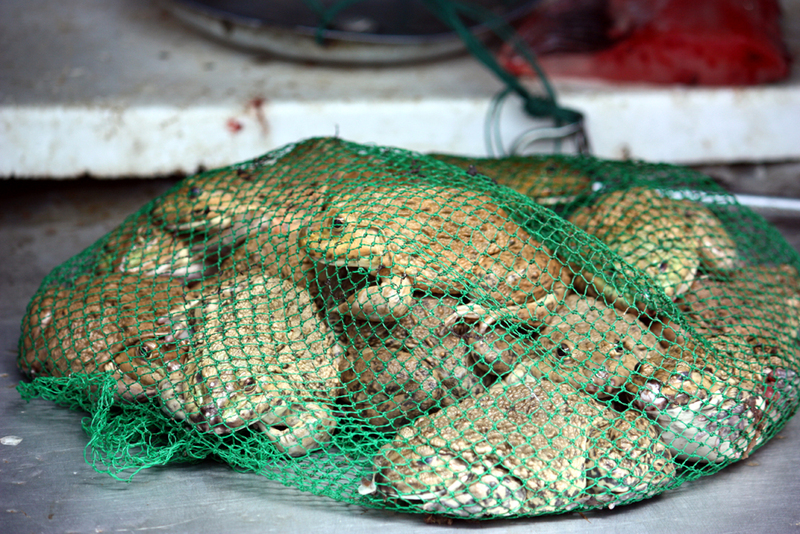 The food is fresher than anything in the supermarkets - and usually cheaper. Bargaining is expected but not compulsory. In my experience, the majority of vendors are honest. One woman did try to cheat me about twenty years ago. I see her every time I visit, and she has the decency to still look ashamed. She knows she screwed up decades of repeat business. One of my friend's mother, a self proclaimed master bargainer, was infuriated to discover that I was buying my beef for less she was -from the same stall. Here are some images from various markets around town. There is another market which I love to visit, but rarely buy anything. It is, I think Liuzhou's largest and oldest. It has been there since the 1920s. 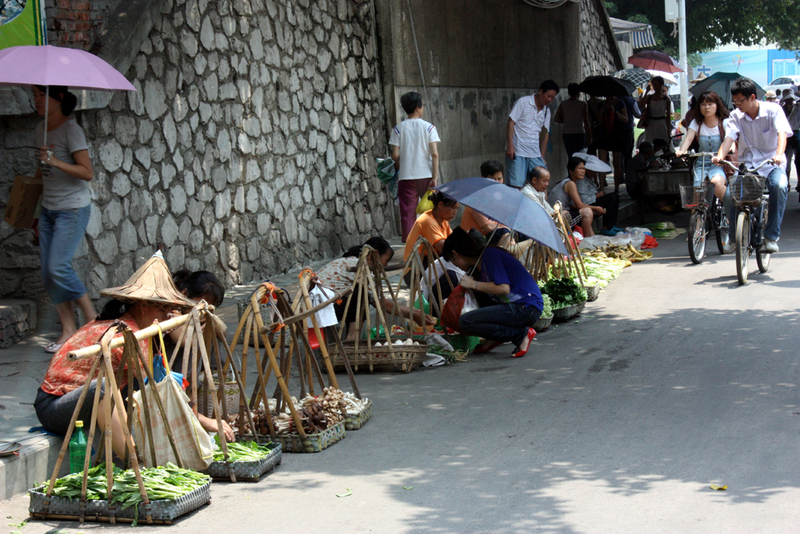 Qingyun market is centred on one long street, Shuguang West Road (曙光西路 shù guāng xī lù), with several offshoots. You can easily spend an hour of more there. Apart from the food of all descriptions, the place is fascinating for its old architecture. No two buildings are the same. Thankfully, Liuzhou government have designated it a semi-protected area rather than raze it as they usually do in their sad attempts at modernisation. The market starts trading at around 7am and is all over by noon. It can get very busy, especially at weekends.